The Florida winners of the $1.58 billion Powerball jackpot came forward publicly Wednesday. 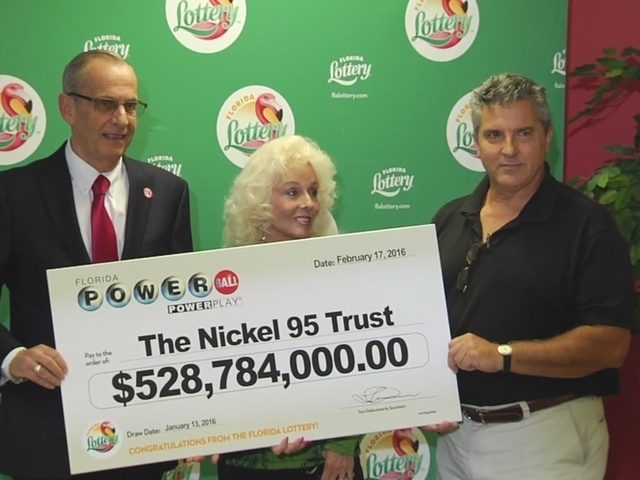 David Kaltschmidt, 55, and Maureen Smith, 70, of Melbourne Beach claimed the winning ticket in the name of The Nickel 95 Trust. They were asked what they were going to do with the money. ‘We’re going to take care of family. We have a lot to think about, it’s very stressful,” said Smith. She said the winning numbers are numbers she’s played for years but very rarely play. “I work for Northrop Grumman, 34 years now, so I will be retiring,” Kaltschmidt said to laughter. Asked about the first splurge they wanted to make Smith said Kaltschmidt wants a new car and she wants a massage.